In last two three years, Lemon has introduced it as cheap mobile phone producer in India and got good acceptance in this category. Hundreds of mobile phones from Lemon are available in Indian market. Recently, they have launched three new mobile phones in Indian market Lemon P7, Lemon P101 and Lemon P100. These mobile phones are packed with advance features and they run on android based operating system. The good news for all mobile lovers is that they all are priced below Rs 10000. 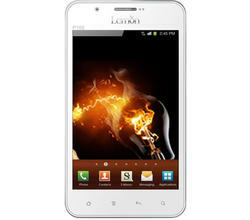 You can buy Lemon P7 for Rs 4,469, Lemon 101 for Rs 8,799 and Lemon 100 for Rs 9999 only (discounted price). 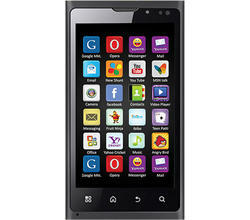 About Lemon P7- It is an economical android 2.3 (Ginger Bread) operating system mobile phone. Its official price is Rs 5199; though you can buy it at discount price of Rs 4469. 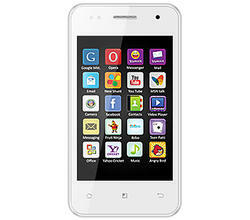 Lemon P7 is a dual SIM 3.5 Inch TFT touch screen mobile with 640 X 960 resolutions. The main good point about this mobile is 1Ghz processor which makes it a fast mobile handset to operate. It comes with 3D G –Sensor and Proxmity Sensor. It comes with both Rear 3.2 MP camera and front VGA camera. You expand memory of Lemon P7 upto32 GB. There are plenty of many features offered by Lemon P7. To know about all these features and to buy Lemon P7 Visit Here. About Lemon P100- Lemon P100 is latest and powerful smart phone by Lemon and it runs on Android 4.0 (ICS) which you can upgrade to Jelly bean (4.1.1). The official price of this smart phone is Rs 10999; though, you can buy it at a discounted price of Rs 8799. This is a dual SIM mobile with 5 inch Capacitive Touch Panel which is highest in category. It has 8 MP rear and VGA front camera. It comes with dual core 1GHz processor. The major difference between Lemon P101 and Lemon 100 is in size and option to upgrade Android operating system. To know more about features of Lemon 100 and to buy it at discounted price Visit Here.